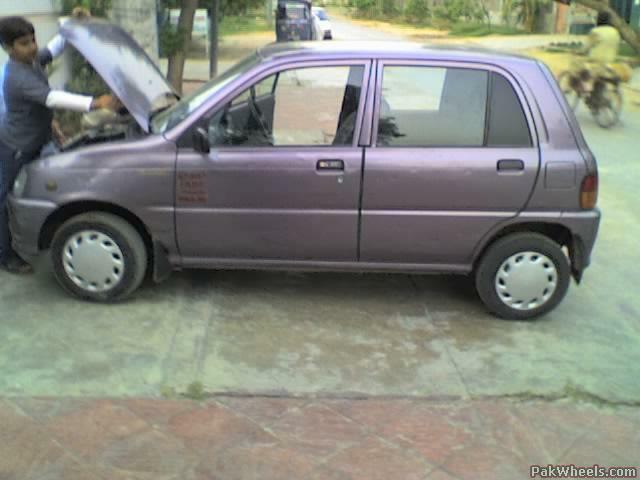 I love cuore all da other cars n cng r bakwas on cng except for dis its shape is da best! !IT ROXxXxx!! Dude, first you should notice that its spelt C-U-O-R-E and not C-O-U-R-E.
My motivation behind getting an affordable small automatic car with an A/C was the ever increasing traffic. Specially in Karachi roads are being repaired but there is no room for new or alternate routes. Or even having distributed commercial areas resulting in everybody trying to get to Saddar, Nursery, and Clifton in the morning and towards north, gulshan, fb area in the evening. 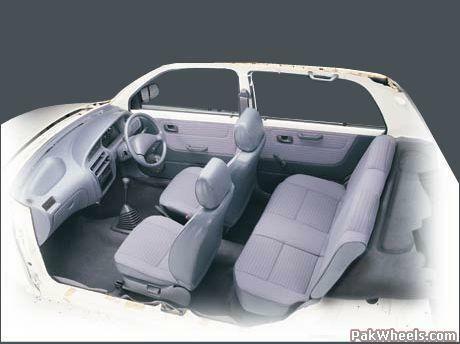 I have been driving a Mehran for the last 4 years and it lacks in a lot of areas. Cuore is definitely much better and has room for modifications to get the economy out of it that we need in lieu of the increasing petrol prices. I booked mine in May and the "On" was 35k at that time. Under current traffic conditions you can beat vehicles because of size and not performance, so I think economy is a bigger deciding factor. The cuore is a great ride, it's comfortable and well built,.. unlike the horrid mehran which is trying to be something it's not. 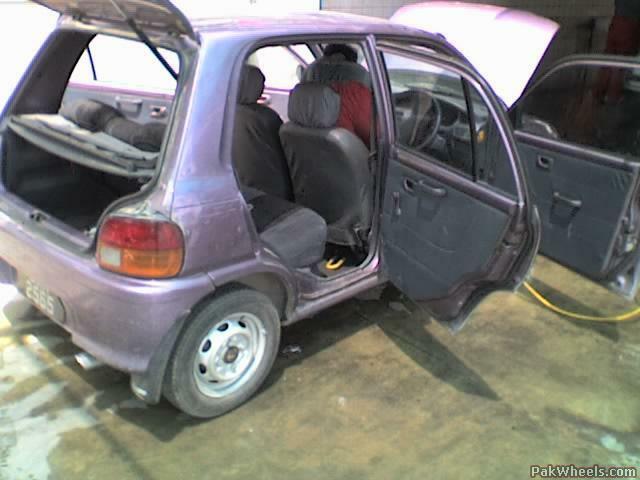 Mehran is 1 (one) LAC rupee cheaper, so No comparison. Alto 1000 has the same Price Tag, If given a choice, i ll pick Alto 1000 anytime over the 850cc Coure. Can you please ellaborate your choice of suzuki as you have mentioned price is same. Comfort: I think Suzuki has to change a lot of things to introduce any kind of comfort. Liana is a good effort but Mehran or Alto , not really. Economy: I can not compare mileages because that would make no sense. However, Santro or Revo equipped with EFi would be better than the Alto nursing a high tourqe engine anytime. Cabin room: I could not fit in the backseat of Alto the last time I tried. Revo is very spacious and I could even fit in the rickshaw looking Alif. Quality: Well moving from a Mehran, Cuore feels great. But not yet the way my father's Corola '88 felt. In fact the Cuore here is the '97 of what was delivered in the UK, the newer version looks better and has the extra bells and whistles. Out of the box: Not much difference except the superior CNG in ECO model, choice of A/T, but not both. Both lack simple things like central locking, cup holders, etc. Modifiability: Tough one, in Pakistan either nothing is available or you find a guy who can do anything with any car, there is an A/T Suzuki FX in Karachi, do not ask me how he did it. i can understand c123pk's reasoning behind the alto since it is not a bad car at all, but after having driven both the cuore and alto back to back i found the cuore to be a bit more to my taste. but not everyone has the same tase as me & we can't force them to like the cuore once their mind is made up. I failed to see "reasoning" in c123pk's post. I do agree everyone has their own taste, but reasoning may help me find something which I did not notice. Specially when I never owned an Alto 1000.
his reasoning is down to his personal taste, simple. starting all these fan clubs must be the new fad on here. 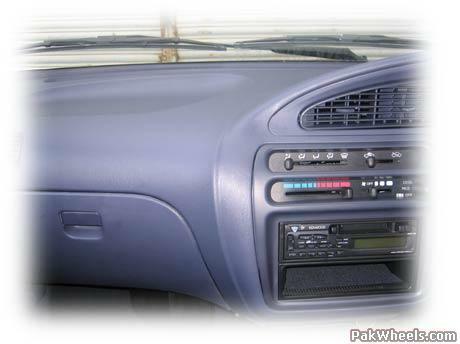 I mis-read the title, thought it said "Choru Fan Club"
Better audio system, CD / mp3 player with removable panel. Will send some details ASAP with pics where I feel improvements / modifications can be useful. 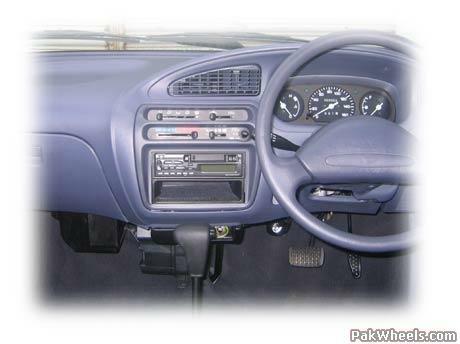 Note that I was driving a Mehran for at least 4 years and used to drive my father's Corola '88 A/T two years back. Santro gives u better fuel economy with more powerful engine. First of all this is the "Cuore Fan Club"
Santro only had an A/C from the above, City has a better fuel economy than Santro if that is your priority. And I did get in touch with Dewan guys who said that Santro maybe introduced in A/T next year or so. I think they are concentrating on KIA and Pontica (or something like that) maybe a good option but Dewan has some strange pricing experts. 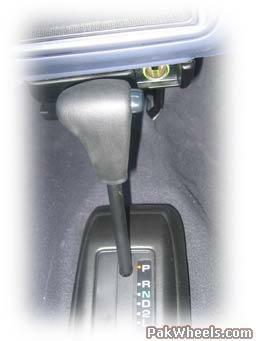 Maybe Proton Savvy will come to Pakistan which has a Nascar style AMT a stick based variant of City steermatic. But I think Cuore is a good fit for me, I had problems fitting myself in some cars but have a very comfortable posture which is important for commute in long traffic jams. You enjoy your santro, please do not push it on my plate. @Bilal740 originally asked for comparison, I drove both a Mehran and Cuore today on a similar route near my home so I think I can do justice with a comparison. - Rear view mirrors, cuore has big and concave, I felt blind in the Mehran.